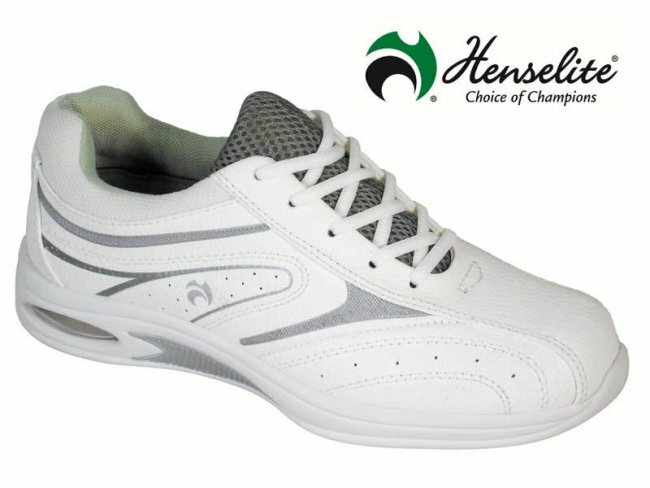 Henselite Ladies Tiger Sports - £53.99 with Free Delivery | One of the Best Sellers - Lightweight, Flexible and Comfortable | Rubber Air Cushioned Sole Unit! 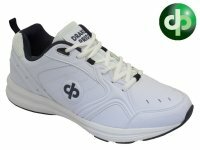 Dawn Sports White - £36.99 with Free Delivery | Ultra Lightweight and Quality Breathable Full Leather Uppers - Perfect for both the Indoor and Outdoor Game. 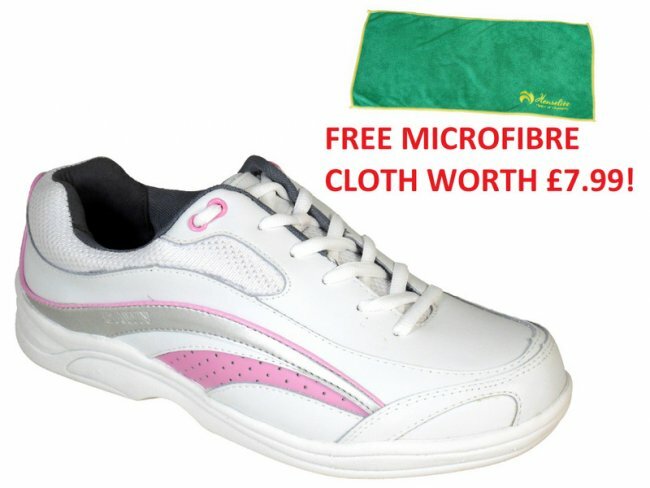 Dawn Sports - £29.99 with Free Delivery | Ultra Lightweight | Fantastic Comfort - Perfect for Indoor and Outdoor Bowls - Great Quality at an Entry Level Price! 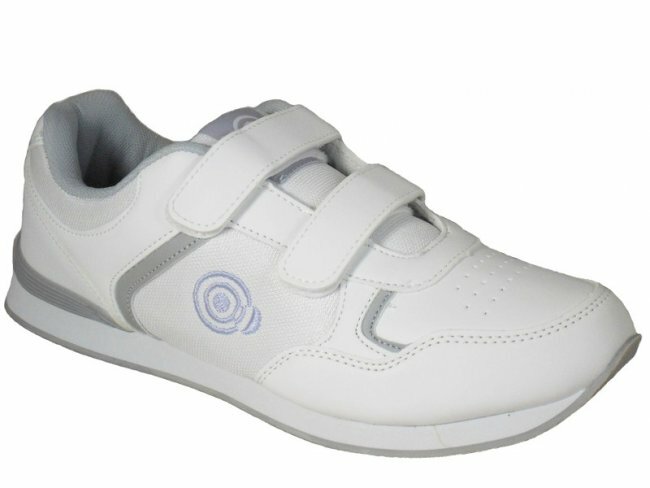 The Legend Velcro is a dual fastening leather lawn bowls shoe - Elastic gusset featured down the centre of the shoe, durable outsole and air holes for breath-ability. 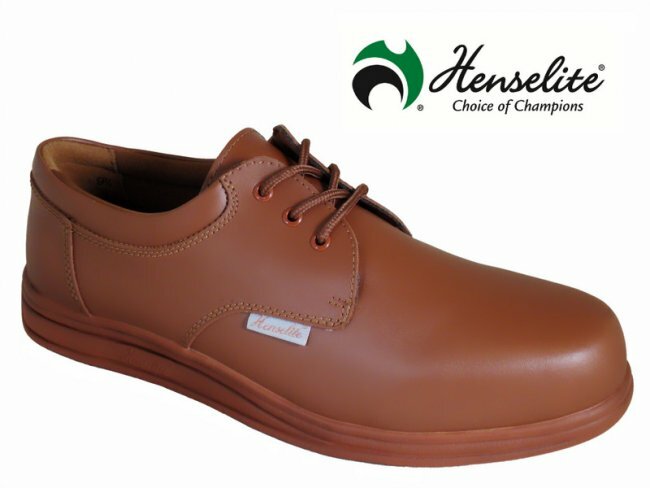 Henselite LPS44 - £62.99 with Free Delivery | Superb Quality | Designed to Offer High Levels of Support and Comfort | Lightweight and Flexible Sole Unit! 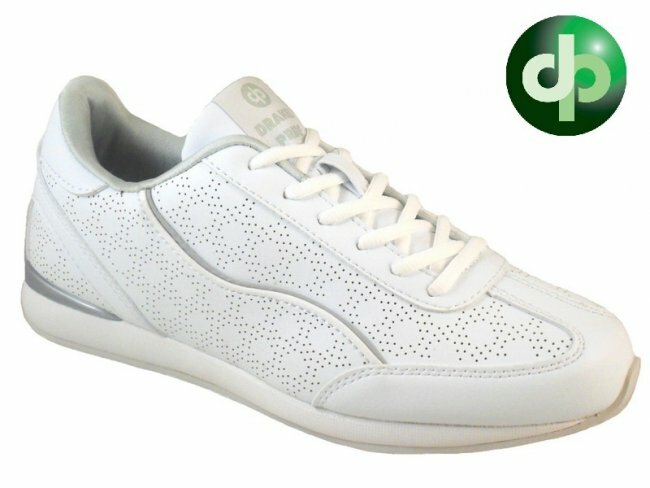 Dawn Excel - £45.99 with Free Delivery | The Ideal Trainer to 'Excel' at Lawn Bowling - Leather Uppers | Non-Slip Outsole - Suitable for Indoor and Outdoor Use! Henselite Amy - £39.99 with Free Delivery | Full Grain Leather Uppers - Supportive Insole \ Heel and Arch Support | Slip Resistant Sole Unit! Henselite LSP40 - £61.99 with Free Delivery | Designed with Comfort in Mind | Highly Lightweight and Breathable without Compromising Support! High Quality! 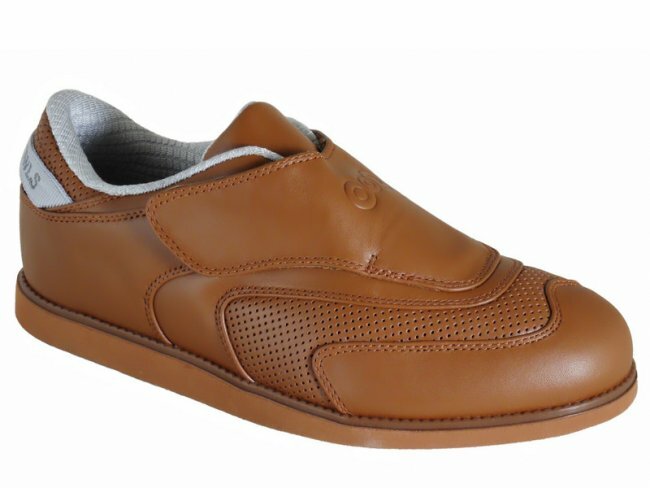 Dawn Lace - £43.99 with Free Delivery | Designed to Offer Ultimate Comfort | High Quality Flexible Leather Uppers, Very Durable! Non Slip Sole! Henselite HL72 - £46.99 with Free Delivery | Fresh and Modern Design | Superb Breathability - Lightweight | Comes with a Choice of Black and Grey/Black Laces! 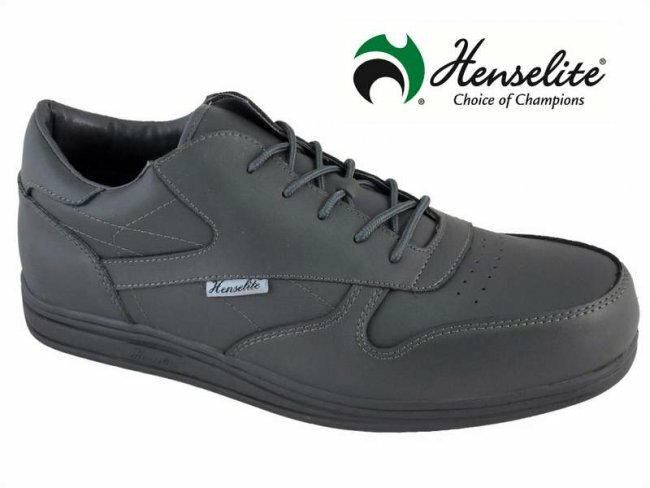 Henselite HL70 Grey - £54.99 with Free Delivery | Highly Fashionable and Great Value! Special Lightweight Outer Sole | Durable and Breathable Mesh/PU Uppers. 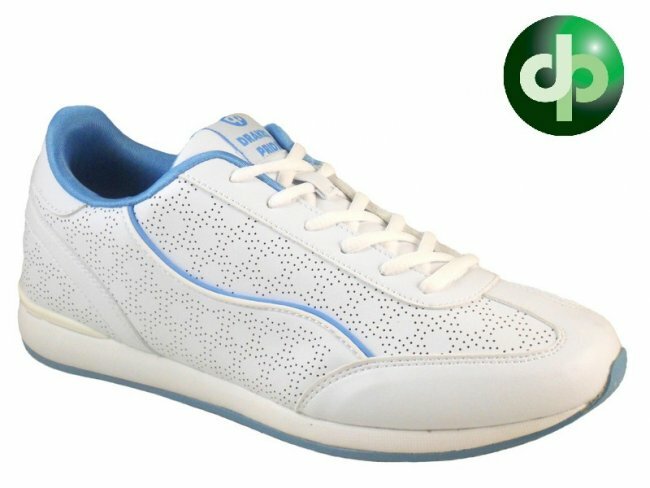 Dawn DL20 - £52.50 with Free Delivery | Brand New Addition to our Fantastic Range, Popular and Unique Moccasin Style - Lightweight | Slip Resistant Sole Unit! Dawn DL22 - £49.99 with Free Delivery | Slip On Style | Wide Fit, Ultra Lightweight - Breathable Design | Manufactured using Quality PU and Leather! Dawn DL22 - £49.99 with Free Delivery | Ultra Lightweight and Unique Style! Suitable for Indoor and Outdoor Bowls, Wide Fitting - Peferated Patterned Holes to Improve Airflow! Dek Lady Skipper - £24.99 with Free Delivery | Modern Trainer Style - Synthetic Leather Upper - Velcro Fastening | Smooth Flat Sole! Ultra Lightweight! 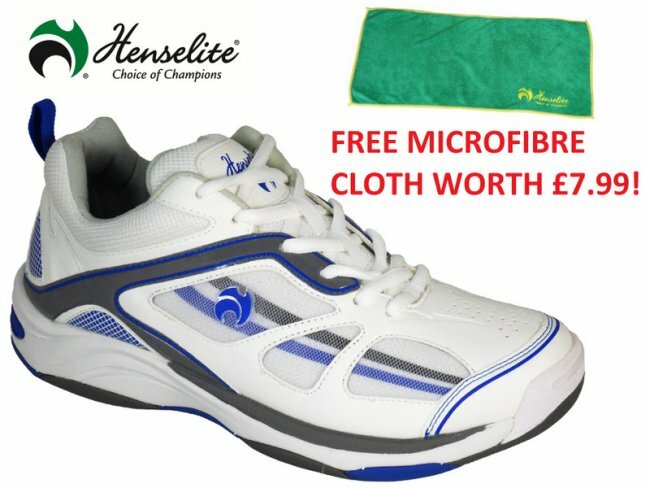 Henselite HL71 - £49.99 with Free Delivery | Very High Comfort and Durability | Designed with a Special Lightweight Outer Sole | Fresh and Modern Design | Superb Value! 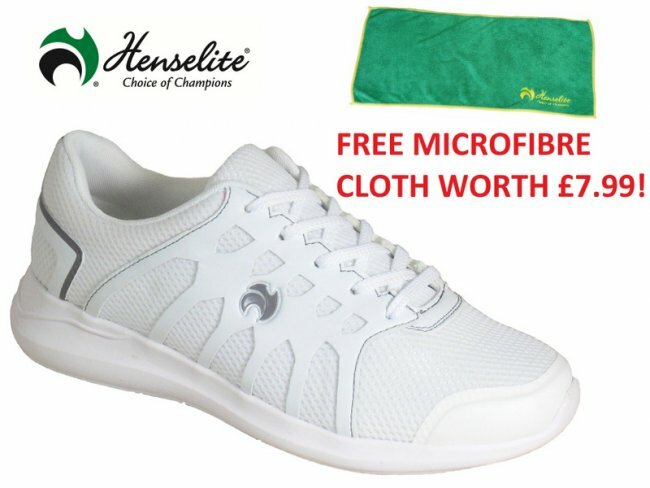 Henselite Victory Sports - £25 with Free Delivery - Quality Leather Uppers - Non Slip Sole Unit - Removable Padded Insoles, Improving the Comfort of the Shoe! Drakes Pride Cosmic - £42.99 with Free Delivery | Very Lightweight - Hi-tech Breathable Materials - Extremely Comfortable | Modern Style. LAST PAIR! !